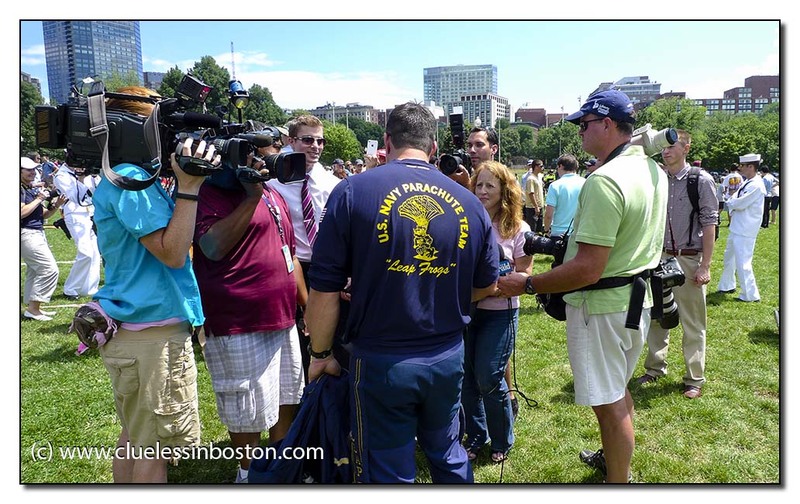 On Monday the US Navy Parachute Leapfrogs Team demonstrated their skills parachuting to the Boston Common. As you can see, there was a swarm of media interviewing this parachutist. Watch a cable news report video. Compared to population, only a very few people are able to fly; That's why parachutists seem always so attractive, I guess..Funny, this name, "Leap frog"! btw Great comment about Gary Player. My husband happened to look out his office window just in time to see them drifting down to the Common! 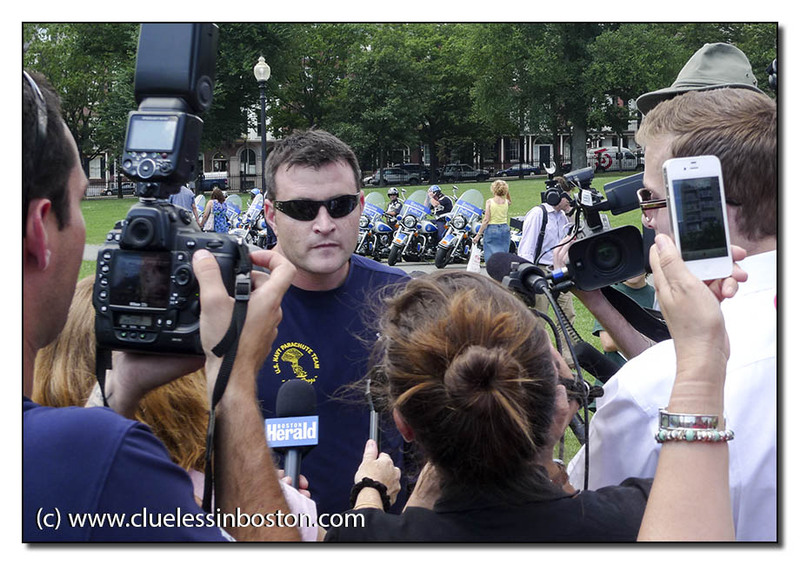 So many things happening there... heck, I bet someone could do a Boston Common blog and never run out of material...! I wonder what it must be like to have so many cameras stuck in your face, I can't think of anything worse!